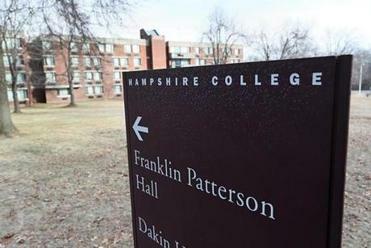 A state plan to monitor the financial health of private colleges was one factor that led the trustees of Hampshire College not to admit a fall class, according to the school president. Miriam Nelson, who took over as president of the alternative liberal arts school last year, said she and the trustees worried about the so-called state stress test that officials have drafted, along with accrediting standards, and therefore thought it prudent to seek to merge the Amherst school with another institution. “I believe in the rationale for that,” Nelson said about the proposed state regulations in a phone interview with the Globe. Hampshire’s dramatic decision not to admit a new freshman class came just weeks after the state released the first details of its plan, which could go into effect as soon as this fall. Education officials in Massachusetts have been talking about better monitoring of private colleges since the abrupt closure last year of Mount Ida College. The fact that Hampshire cited the stress test surprised Chris Gabrieli, the chairman of the state Board of Higher Education who has been the driving force behind the regulations. The regulations, which are controversial among college leaders, were created in response to Mount Ida College’s abrupt closure last year, which caught state officials off guard and caused chaos for existing and incoming students, as well as professors and staff. Although they are not final, the thrust of the state regulations is to create a private watchlist of colleges that might be financially unstable. The exact criteria for which schools would be placed on the list has not yet been developed, however, the state expects to require schools to show that they have 18 months of financial resources available. Nelson said the main reason for the school’s financial decline is three years of dropping enrollment. The number of students declined from 1,390 in 2014 to 1,120 this year, according to the college. Since Hampshire depends on student tuition for 87 percent of its operating costs, that drop is significant. In addition to national demographics affecting college enrollment across the country, Hampshire suffered negativepublicity and disruption on campus in 2016, including a controversial graduation speech and students’ removal of the American flag on campus. Accreditors noted these events had a detrimental effect on campus morale as well as enrollment and retention of students. Nelson said she learned about the seriousness of the situation in May 2018, two weeks after she accepted the Hampshire presidency but before she began the job. Former president Jonathan Lash called her to say that the enrollment for fall 2018 was dramatically off target. The college has said it will admit a group of about 80 students next year, a combination of those who deferred from last year and early decision students who had already been admitted. 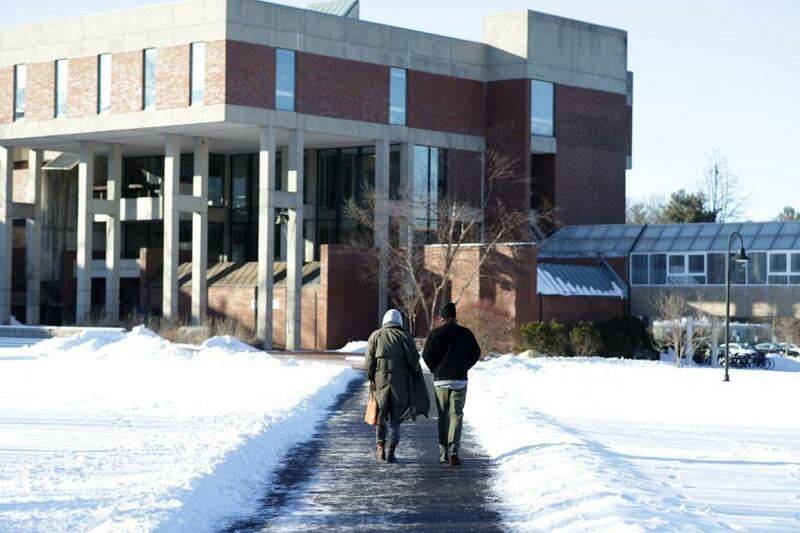 The Hampshire campus has been in an uproar since last week over the decision not to admit a new class. Students began a sit-in on Jan. 31, which is ongoing, and alumni from across the country have begun to organize via social media. A group of professors from nearby Amherst College wrote an open letter critiquing the fact that faculty were largely excluded from Hampshire’s decision. In response to that and other claims that the decision was rushed and secretive, Nelson this week released several financial documents that she said board members considered during their deliberations. One is a letter that Lash wrote in February 2018 to the accrediting agency, outlining a longer-term plan to restabilize the school’s finances. But Nelson said the subsequent news of the third consecutive enrollment drop meant something had to be done on a faster timeline than Lash outlined. “I would have loved to have taken much longer,” she said. Over the past few weeks, some alumni have said they were not approached for fund-raising; others have said they were not told the true desperation of the situation. Nelson, who traveled the country last semester meeting with graduates, said she emphasized to those graduates that the school would need “transformative change,” but the alumni expressed no sense of urgency. “I tried not to create panic in those conversations. I wouldn’t say that I said ‘dire,’ but I did talk about that we are facing transformative change and we’ve really got to change our model,” she said. The president also said there will be staff and faculty layoffs but declined to say how many or when. Nelson said she has been heartened by the swell of alumni who have rallied in the past two weeks.